Intelligence, heart, skill, hard work and patience are the qualities which made Kim Hammond a great quarterback for Florida State. 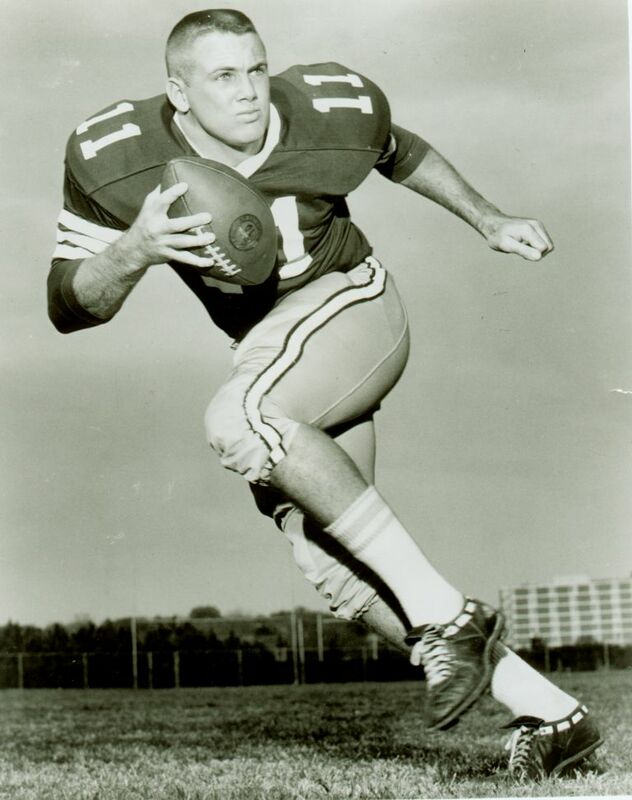 After three years as a redshirt and reserve, Hammond got his first start in the second game of his senior year and eight games later he was an All-American and finished fifth in the 1967 Heisman Trophy voting. He was also the most valuable player in the Senior Bowl. Hammond completed 140 of 241 passes for 1,991 yards and 15 touchdowns as a senior. At the time, the totals for completion, yardage and touchdowns were Seminole records. In the 1967 Gator Bowl, Hammond rewrote the record book with 37 completions for 362 yards. He was the game’s most valuable player. Hammond graduated from Florida State’s Law School following a professional football career and eventually became a judge. He has remained deeply involved as a supporter of the Seminole Athletic program.